Say goodbye to the "Yellow Window" in your entry door! It doesn't take long for the sun to turn a traditional plastic framed window yellow and make your coach look years older than it really is. 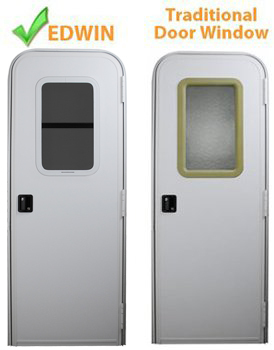 The Entry Door Window (aka...EDWIN) is an innovative solution designed to fit in the standard window opening found in most RVs on the road today. In about 30 minutes, this easy do-it-yourself installation can enhance the exterior of your RV with a fresh new look. 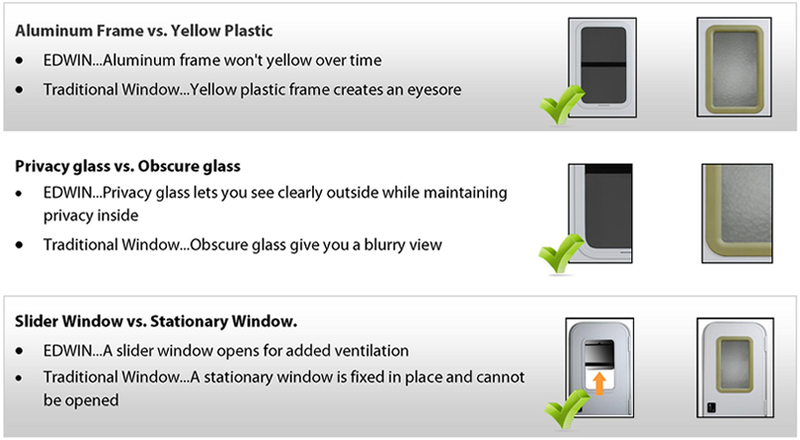 If you have a rough window opening of 24" X 15", the EDWIN window is the perfect solution to replace your yellow entry door window. 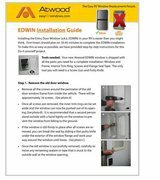 Click here to download the Do-It-Yourself EDWIN Installation Guide. Copyright 2016, Duncan Systems, Inc. All Rights Reserved. Web Design by Net-Noggin.